Social Security can represent up to 40 percent of the total income Americans receive throughout retirement. Only 29 percent of survey respondents say that life is better after, than before retirement; and 28 percent say life is worse. More than four in five women elect to take their Social Security early. And many female retirees say they are experiencing financial problems in their golden years, according to new research. Nationwide Financial unveils this finding in its “2014 Social Security Study,” which polled 471 women aged 50 or older who are retired or plan to retire in the next 10 years. Harris Poll conducted the U.S. survey online on behalf of Nationwide between February and March. Social Security can represent up to 40 percent of the total income Americans receive throughout retirement. However, according to a survey by the Nationwide Retirement Institute, only 15 percent of women waited until their full retirement age and only 3 percent took it late. Women who took their benefit early report an average monthly payment of $1,025. Those who collected it at their full retirement age have an average $1,270 monthly payment. Of the 471 women surveyed by Harris Poll on behalf of Nationwide, only 10 delayed collecting their benefit until 70. They report an average monthly payment of $1,630 (or 59 percent more than if they had taken it early). Only 29 percent of survey respondents say that life is better after than before retirement; and 28 percent say life is worse. For those who say it’s worse, most say it’s due to lack of income in retirement and higher than expected cost of living expenses. Because Social Security benefits are based on average earnings over the best 35 years of a career, women are often penalized for leaving the workforce to raise children or care for a parent, the report states. 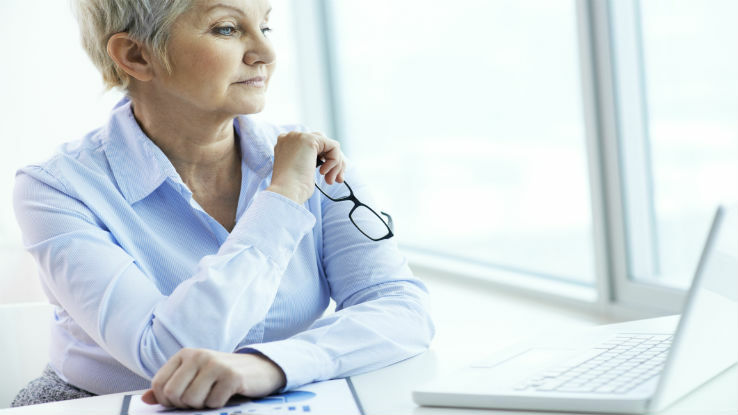 Women not working with a financial advisor are nearly three times as likely as those who do to say their Social Security payment was less or much less than expected (37 percent vs. 13 percent), the research adds. But only 33 percent of women work with a financial advisor.